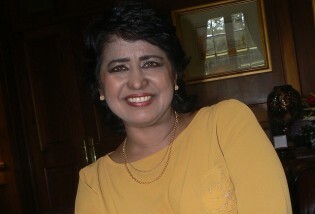 An internationally renowned scientist, Ameenah Gurib-Fakim became Mauritius’s sixth president on June 5, 2015 – and one of the few Muslim women heads of state in the world. They come from Bangladesh, China, India and Madagascar, mainly to run the machines in the textile industry here. But they do all kinds of other jobs too, from masons to bakers, house cleaners and gardeners. “The Marine Protected Area (MPA) created around the Chagos archipelago is a new obstacle that the British government has placed in our path to prevent us from going back to our homeland,” claims Olivier Bancoult, leader of the Chagos Refugees Group (CRG). Tourism, agriculture, fishing, the water supply – climate change threatens the very foundations of society and the economy in Mauritius. As the Indian Ocean island nation develops its adaptation strategies, it is working to ground the next generation of citizens firmly in principles of sustainable development. Residents of Albion, a small village in Pointe-aux-Caves, western Mauritius, say that by opposing the construction of a new coal power plant near their homes, they are defending their constitutional right to live. By Kritanand Beeharry’s side are thousands of watermelon seedlings that he has grown in small pots without the use of chemical fertilisers. As the farmer prepares his half-hectare piece of land in Soreze, near Mauritius’ capital Port-Louis, to plant the two-week-old seedlings, he takes a minute to admire his achievement. “Look at these, they look solid and better grown -- it’s the compost,” he says. Mauritius, held up as an economic success story, is undergoing a lot of social change. However it seems the education system is not keeping pace with the rapid change as the number of teenage pregnancies is on the rise. “Look out there, the blue one…. that is a European Union fishing vessel that is threatening our livelihood,” says Lallmamode Mohamedally, a Mauritian fisherman, as he points to a boat offloading its catch at the Les Salines port, close to the country’s capital Port Louis.